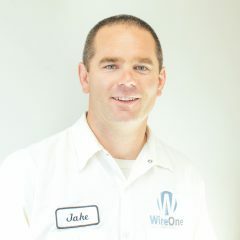 WireOne is seeking experienced electricians and individuals who have an interest in pursuing a career in the electrical field. 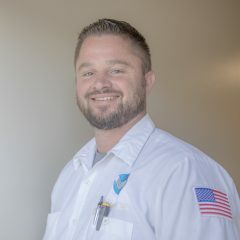 We offer a competitive hourly wage and a commission-based compensation structure that rewards our best electricians with commissions of 18-24% (up to $150,000 per year). If you’re looking for a new opportunity in the electrical industry with significant growth potential, WireOne may be a good fit for you. Journeyman electricians who have demonstrated a high level of customer service and competency with the company pricing tools will have an opportunity to earn commissions of 18-24% up to a salary cap of $150,000 per year. All employees with one year of tenure and at least 1,000 hours of service are eligible for an employer 401k match up to 3%. All full-time employees are eligible for comprehensive medical and dental insurance plans after 90 days of employment. After 90 days of employment, all employees are automatically enrolled in WireOne's PTO program which rewards employees with two weeks of paid time off per year, six paid holidays, and other paid days off for special circumstances. 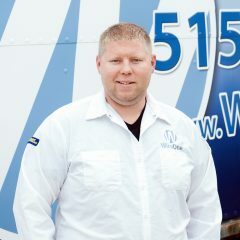 All of our electricians are provided with company uniforms and discounts on high-quality company apparel. WireOne is dedicated to the continuous improvement and development of all employees through weekly training events, continuing education seminars, certification programs and other educational opportunities. 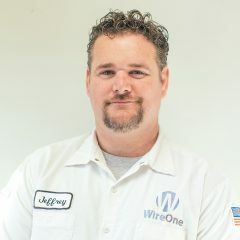 WireOne is working to become the leading electrical contractor in the region through a customer-centric approach that rewards employees for their contributions and service with a competitive base wage and a market-leading, service-based commission structure. At WireOne, we are dedicated to transforming lives. First, we transform the lives of our customers by providing convenient and cost-effective electrical solutions that improve safety and change the way our customers view their homes and offices. Second, we transform the lives of our employees by providing stable careers with consistent growth and market-leading earning potential, and the fulfillment that results from performing work that matters. Third, we transform our community by providing the best customer experience in our region, creating rewarding careers for our neighbors and setting aside time to serve those in need with our professional and personal gifts. Our commitment to transformation drives everything we do. We know that when people love what they do and find purpose in their work, a job becomes more than just a place to punch a time clock - it becomes the foundation for a life filled with fulfillment, purpose, and meaning.